That being said, the youth in the Philippines have been in aw of imported, lifestyle, athletes, media, gadgets, super heroes, fast-food, toys and even popular-brands. Just as the West in the 1950’s, 60’s and 70’s experienced; with a massively steady emerging of a gainfully employed professional new middle-class; following forced government diversification of the US-monopolies, the Philippines is now the fastest-growing new Mega economy on earth. Subsequently, the beneficiaries of this boom are the children. Studies from every vastly-successful society, such as the American, European and even smaller studies of Hawaii and Singapore, the turning-point was a new generation who took the world by storm through innovations and development. Young Filipinos, are not simply entertained by being consumers of the massive amounts of music, movies, fashion, media, professional skills, tourism or culinary which is being marketed to them from around the world consistently. 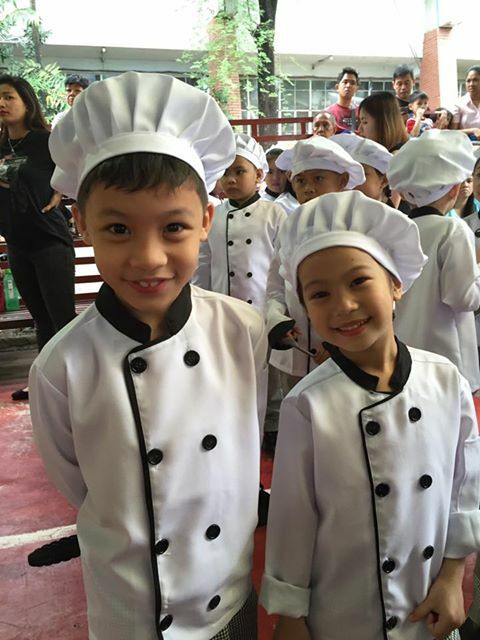 Young Filipinos are looking to ‘be’ musicians, engineers, movie producers, developers, architects, fashion designers and manufacturers, and rather than simply consume food, they are looking to be franchisers, chefs and restaurateurs. The youth in the Philippines, (specifically, the college-level and below market, which includes the new K-12 culture) are full of quality data, information and possess a more-global perspective. High School and College-Level kids; as well as, all sorts of un-discouraged, self-motivated undergrads, who are inspired to achieve higher, are flocking to tech studies, multi-media, marketing, small-business and entrepreneurship in search for their glory. Growing up in a Philippines full of optimism is empowering. Youth in the Philippines; while millions do grow from immensely-humble beginnings, these same millions grow-up in a rare era in Philippines history where there is a sort of renaissance around the culture. During their generation, they will never know life without gadgets, growth and development all around them, construction cranes in the sky, the world wide web, Google, Miss Universe, and modern day self-made heroes, such as Manny Pacquiao, Jollibee, Inasal and even President Duterte. Duterte himself, despite his critics, he rose-up from humble, Bisaya (simple small town) beginnings to hold the highest-position in the nation. The Filipino youth know –and most importantly believe- anything is possible ‘here’ and they have dreams for themselves and the future of their families. Today’s young Filipino is 10-times more likely to be inspired by staying in the Philippines, and building their home country than their grandparents’ generation. They are more likely to become successful in their chosen careers (largely within the S.T.E.M. disciplines) and to die wealthier than was possible in the past few-generations. The youth of today, will break the perpetual-burden of parents who, uneducated on financial wealth and investments, saw their children as ‘the retirement plan’ and depended solely on their young children to financially subsidize their basic living. The family financial burden, was/is the heaviest burden imposed of Filipinos who were forced –too young- to be the bread-winner of their family, or would have children and a family of their own as teens, before they themselves had enough time, education and experience to reach their true-potential. The burden, has been believed, to also contributed to elderly-depression, high-blood pressure, stroke and fatigue as somewhat young parents were forced in their prime years (their 60’s and above) to become dependents rather than being able to use their earned respect and wisdom to achieve even greater success well into their 70’s and 80’s as in most modern-societies. In addition, as with their modern day self-made heroes, they will be the largest uprising of The Successful Masa (or average) Filipino generation in the country’s history. Building legacies and empowering generations of Filipinos to come. Millions and millions of new-rich Filipinos will have their own rags-to-riches stories to tell their grandchildren, as the country continues to experience a huge growth spurt. Millionaires are made every day in the Philippines-based entrepreneurial endeavors: buy-and-sell, beauty, tech, tourism, real estate and international business development sectors. Entrepreneurs as young as 8 years old are making a name for themselves in the Philippines entrepreneurial and entertainment markets. Some have speculated that as its booming economy takes hold; the Philippines will be experiencing its largest re-allocation of wealth and opportunity ever. Unlike now in America, the Philippines is a country, now led by a majority-elected, seemingly-humble, self-made President from the ‘other side of the islands’ and not part of the inner-circle of elite PH politics. The younger you expose your child to the opportunities available to them, and divert them from the entrapments of uber-consumerism, the better. Though success can be found in any and every chosen direction of life, young business and professional seminars, boot camps and day trips help to success-condition youth. The inherent inspiration found in ‘the doing’ or comradery and team building, rather than mindlessly-gazing at a smart phone, IPad, television or other gadget; ‘watching’ what other shave and are doing. Early exposure reinforces the child’s ability for critical-thinking, vision and a higher-awareness of the world –and opportunities- around them.